4" ladder pattern blade hilted in olive wood with a rosewood bolster. 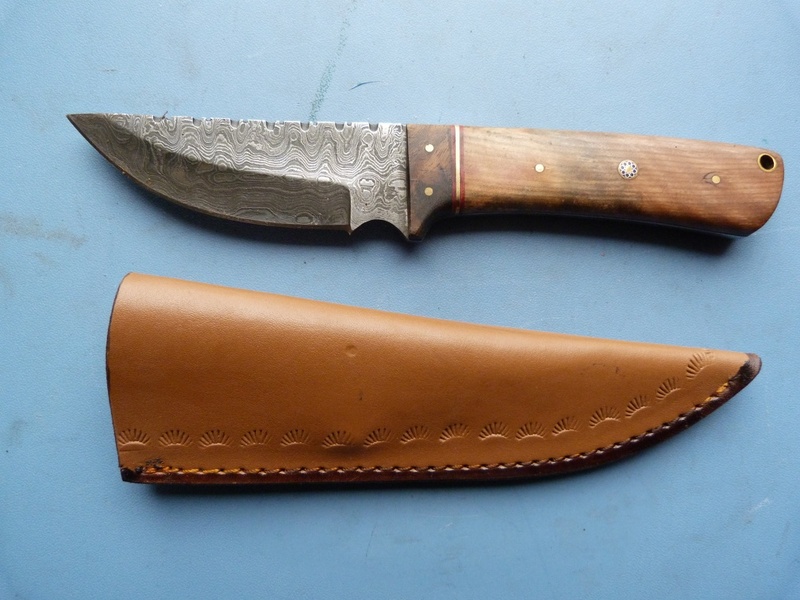 With a cowhide sheath. Made for us overseas. 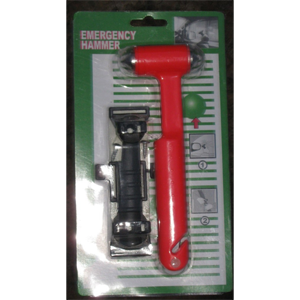 Emergency glass breaker and seat belt cutter. $10 including domestic US shipping. The ASW is a marking of E & F Horster company, and I believe the "43" is the year of production. The blade is unsharpened and in superb condition, with only a little scuffing near the tip from being drawn. The bakelite grips are likewis ... [more]. Please note: At this time, we are only performing repairs and sharpening. Our backlog is too great to take orders for new knives and swords. Do please check back, and as soon as we dig out we will be happy to take your money. Michael Z. Williamson is an expert with over thirty years experience in the crafting and repair of cutlery and armor. He started with an interest in quality swords, which were not commercially available at the time. The obvious solution was to build his own. The first efforts were crude, heavy, and rather inelegant, but progress was made. 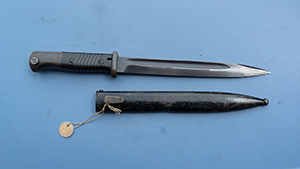 While serving in the U.S. Air Force in an engineering unit, he began repairing and sharpening knives for other unit members. Since leaving active duty and transferring to the reserves, cutlery has been his sole occupation. Whether selling at trade shows, conventions, or his store; fine kitchen knives, basic pocketknives, high-end folders, military tactical blades, historical reproductions of swords, antiques or custom pieces; cleaning, sharpening, repair, or restoration; he is available to serve your needs. Mike is also an accomplished writer. To view updates on his upcoming novels and other projects visit: www.michaelzwilliamson.com.